His eyes gaze at you longingly. His heart beats firm and fast. You know, kid, this won’t last. With words as clear as glass. He admits there was another. Did you really have to ask? Oh well, what’s past is past! Dorothy Parker returns in YOU MIGHT AS WELL DIE, the second Algonquin Round Table Mystery, now available. She also appears in the short story HAIR OF THE DOG: An Algonquin Round Table mini-Mystery, available on Kindle and Nook. Looking forward to spending more time with the irreverent Dorothy! Thanks for the chuckle. 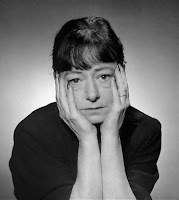 That Dorothy Parker is quite a character! There are no more verses...only versus (him vs. me)!